Get the best North Kitsap Septic Cleaning service. We offer complete services including inspection and repairs. We show up, diagnose the problem and perform repairs. We have been serving our local area for years, and we have developed the reputation for being the most reliable service in the area. You can be confident when choosing our service. 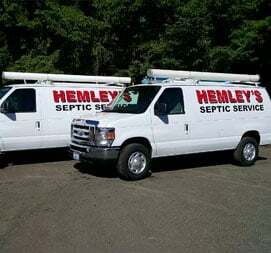 We handle all sorts of septic issues and promise unmatched quality. We provide thorough inspection and repair service for every type and size of tanks. We make sure every part of the system performs as it should. We offer a backhoe service, so we dig the tank manhole covers for service. All our services come at affordable prices, and we make sure you don’t overpay when you hire us. 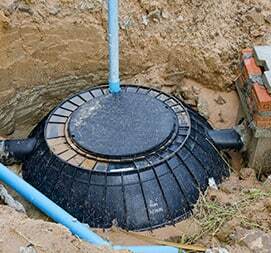 You need to maintain your septic system on a routine. This is the most important thing you can do to make sure it performs and remains reliable over the years. We devote yourselves to make sure you get the best service possible at the most competitive rates. Why You need Regular Septic Maintenance? Septic Tank Services and Plumbing in North Kitsap​ offers top of the line service at competitive prices. We provide an honest and fair working policy which makes sure every important detail is carefully mentioned there. When you hire us, you don’t have to worry about any hidden charges or overpaying. This very trust is the reason why our clients only trust us with their septic issues. We locate the septic tank and leach field before we promise any diagnosing solutions. 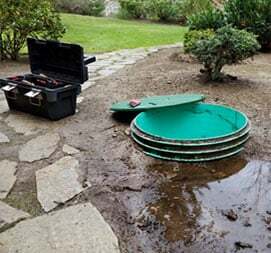 Therefore, if you are having any issues with your septic tank or system, call a reliable service for repairs and maintenance. With our years of experience and knowledge, we make sure we diagnose and treat the problem in the instance. We offer you the most cost-effective solutions possible. We provide the best bacteria for septic tank maintenance as a suggested option for overall well being of the septic system. There is no denying the fact that sludge builds up in your septic tank with the passage of time. You need to get rid of the layers from time to time if you want to make sure your septic tank lives for years to come. This is a preventive measure that keeps your whole septic system from falling apart. North Kitsap Septic Cleaning have been serving the vicinity for years, and we have all the necessary resources to take care of your issues. We offer you a wide array of services. We are a privately-owned business who caters both residential and commercial clients. Our clients depend on us for providing them quality and reliable services at affordable prices, and we aim to keep up with that trust. 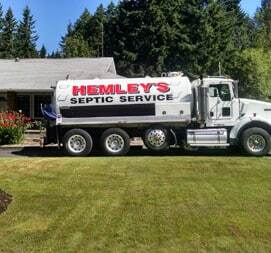 We are the best septic service in North Kitsap, and we have established that reputation based on our years of top of the line services. We have the latest equipment and trained staff to make sure we keep up with our high standards and give our clients better than what they expect from us. Drop in if you need our help.